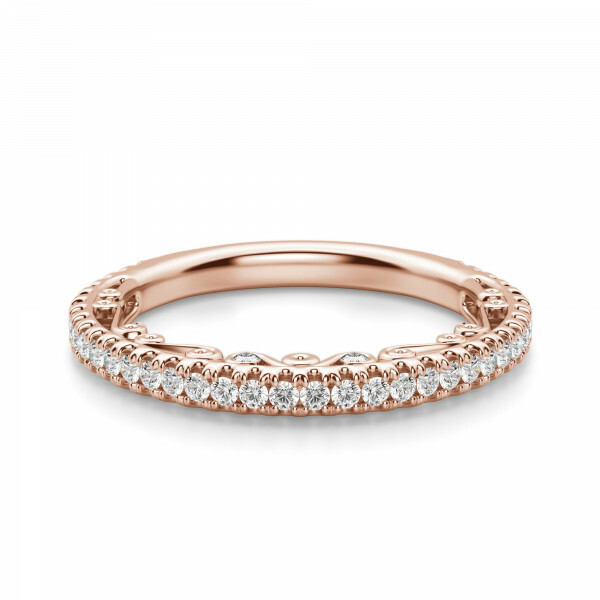 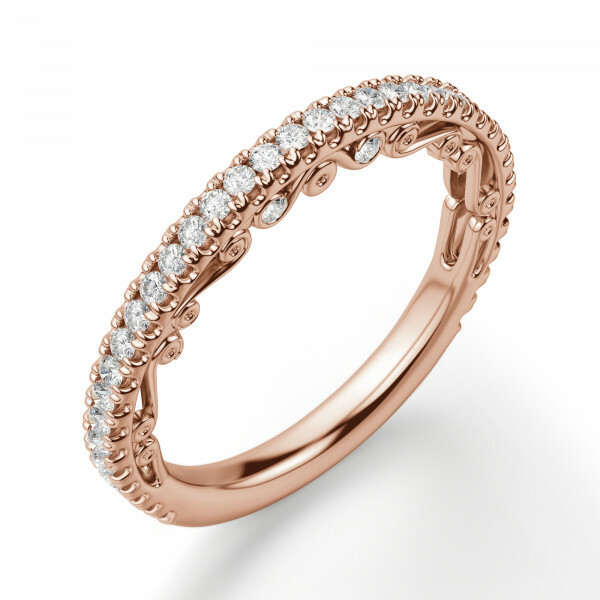 This band was designed to fit alongside the Fleur engagement ring . 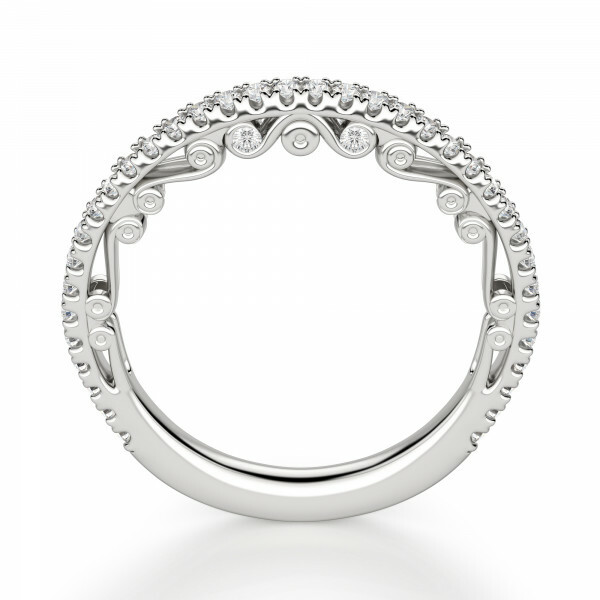 When viewed from the top, a slim row of Round cut Nexus Diamond Alternatives add sparkle, but there's more than initially meets the eye. When viewed from the side, this design matches the elegant scroll-work and accent stones that are also found on the matching engagement ring. The effect is timeless with an ultra-romantic undertone.